There’s something very reassuring about eating kale salad. Number 1, you know you made the right choice for your body that day. 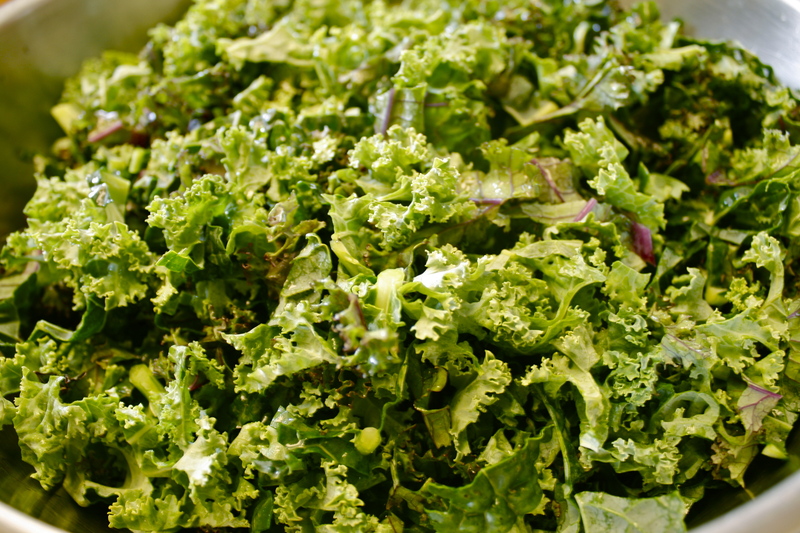 Number 2, this leafy green is high in fiber and has zero fat. 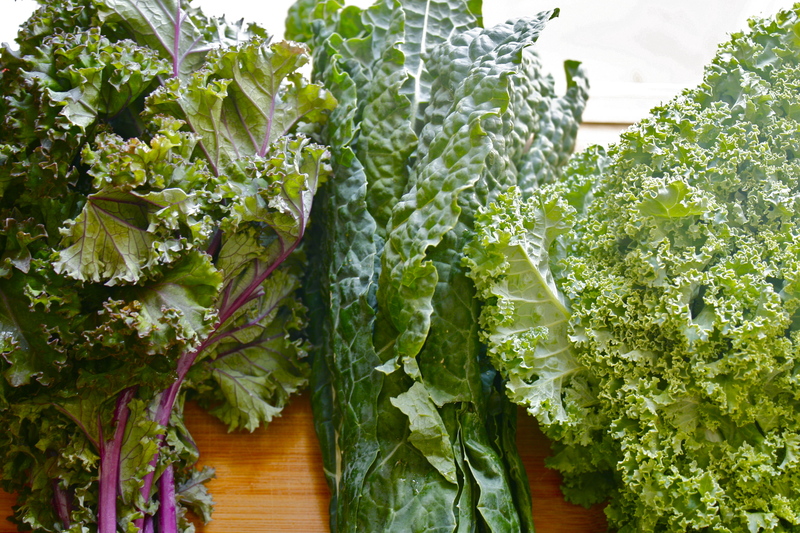 Number 3, Kale is high in Calcium, Vitamin A, C and K, and has more Iron than beef. 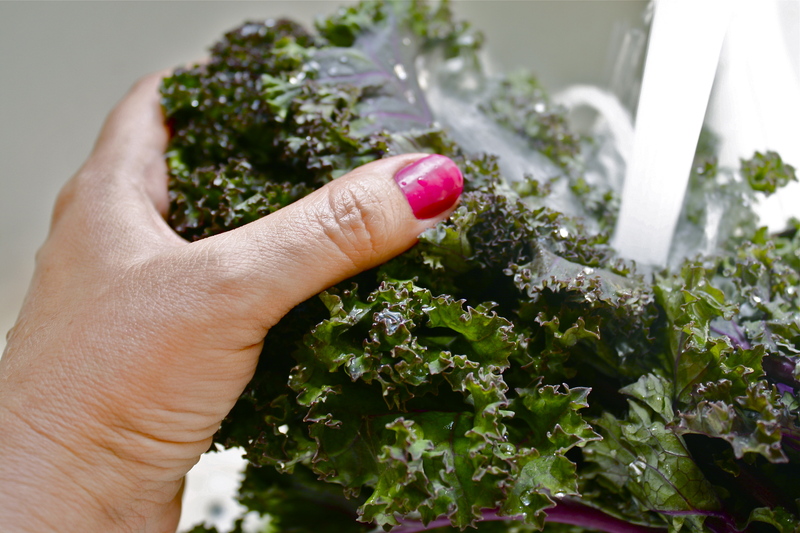 Number 4, Kale is an anti-inflammatory packed with powerful antioxidents! These are reasons enough for me to want to eat this salad again and again. 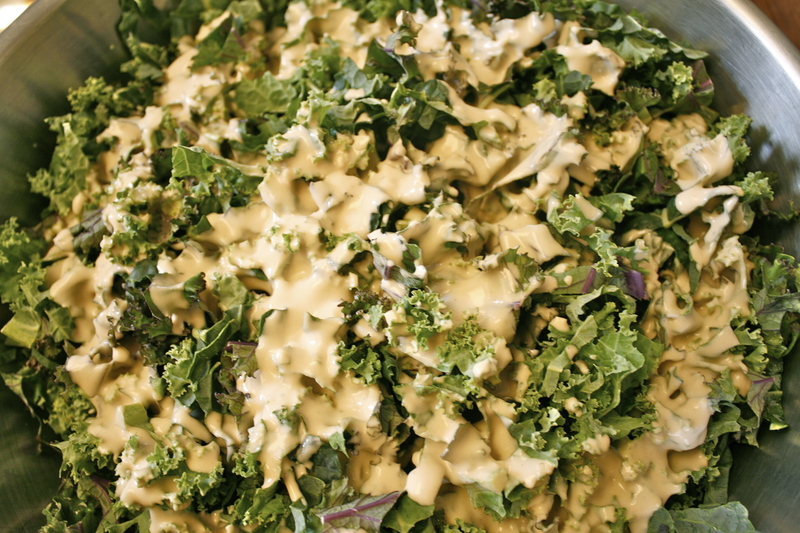 I always shake up my Kale salad by making different dressings. Remember to make your kale salad a few hours in advance and allow it to sit in the dressing just to soften the roughage up a bit. Start by rinsing your Kale well. 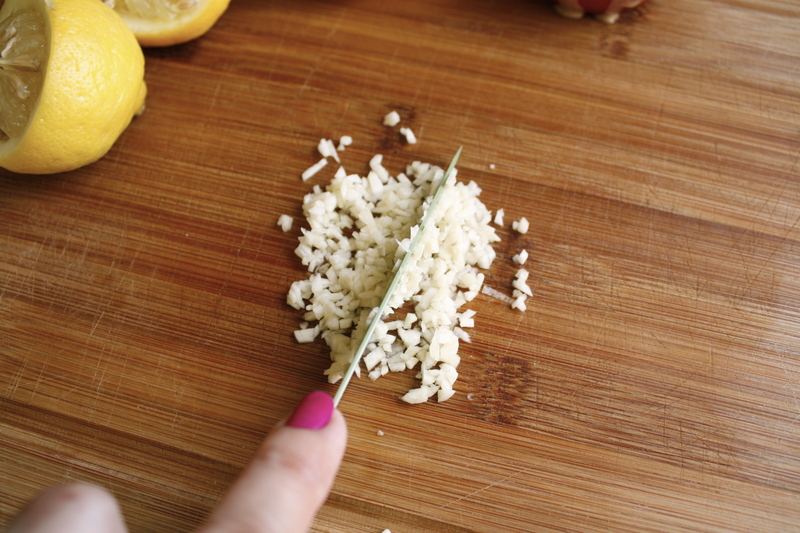 Then place on a cutting board and cut into bit size shreds. Place in a big bowl. 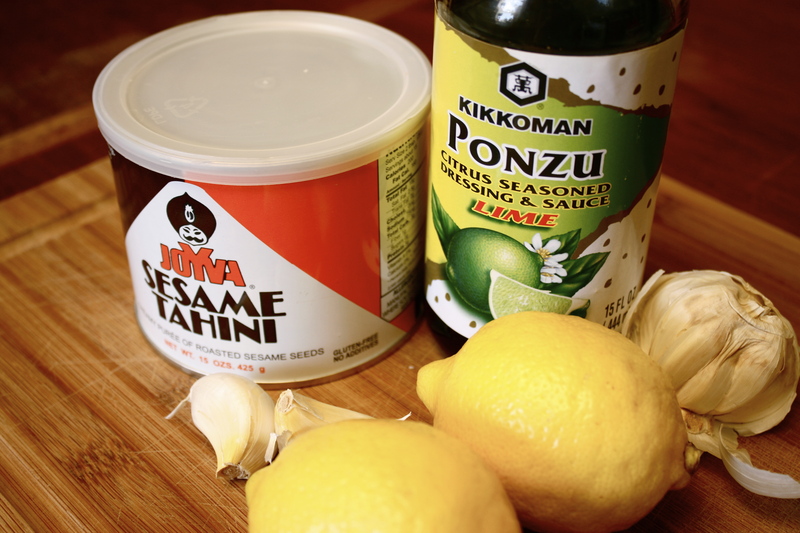 In a mixing bowl add lemon juice, tahini sesame puree, minced garlic, soy sauce and water. Mix well. At first the mixture will curdle then as you continue mixing it will go smooth. Pour over chopped Kale and mix well to combine. Next add pine nuts and cover bowl with plastic wrap and place in the fridge for a few hours or over night. Enjoy! I’m always looking for good kale recipes. Thanks! I’ve heard that Kale is the healthiest thing you can eat. I’ve never had it, but I’d like to! I’m going to try this recipe! Yum! I’ll have to try this! I have a good Kale recipe (chips) but definitely looking for something else to use Kale in. Thanks! Never tried Kale before looks good. I am pinning this in my magical Pinterest Kale board! Bookmarked for a later date! This looks delish. I love love Kale! I’m definitely going to give this a try. Thanks for sharing. 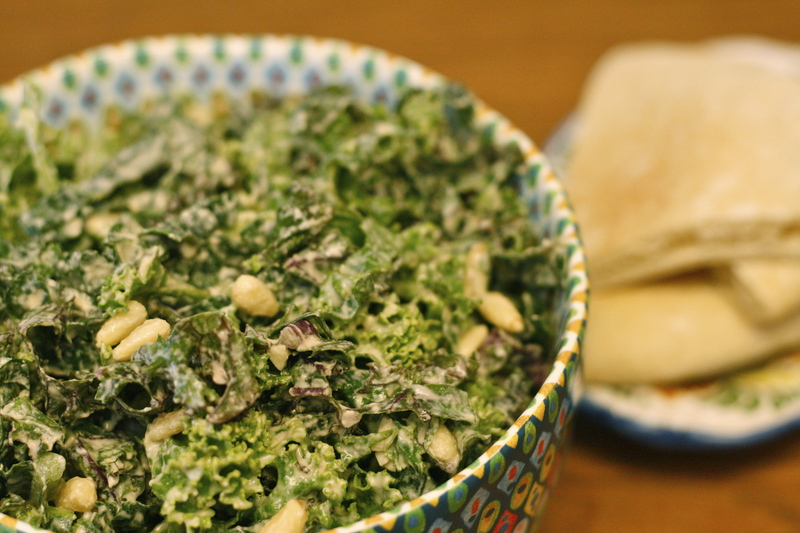 I love kale chips but haven’t found a kale salad recipe that I like. Gonna has to try this one. Pinning it! Thanks to Shelby, I tried Kale for the first time and was surprised at how much I like it! 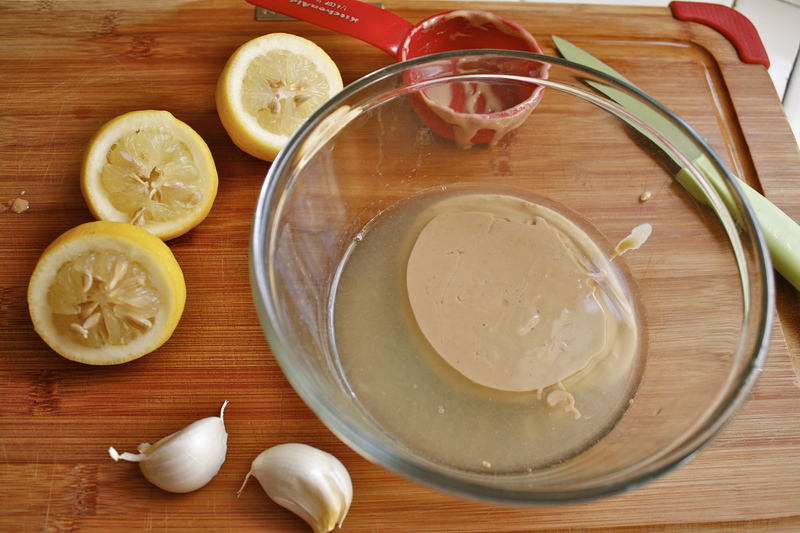 Fabulous recipe…bookmarking so I can re create it : ) Thank you! I don’t know why I have such a hard time embracing kale. I’ll have to give this a try. So far I just make kale chips and eat those. Oh yum! This looks so delicious. Definitely trying out the recipe. So yummy and easy. I love kale salads. I don’t eat them enough but will. And the touch of tahini is niiice. Best kale salad I’ve seen. The tahini really takes it to a scrumptious level. Rico! 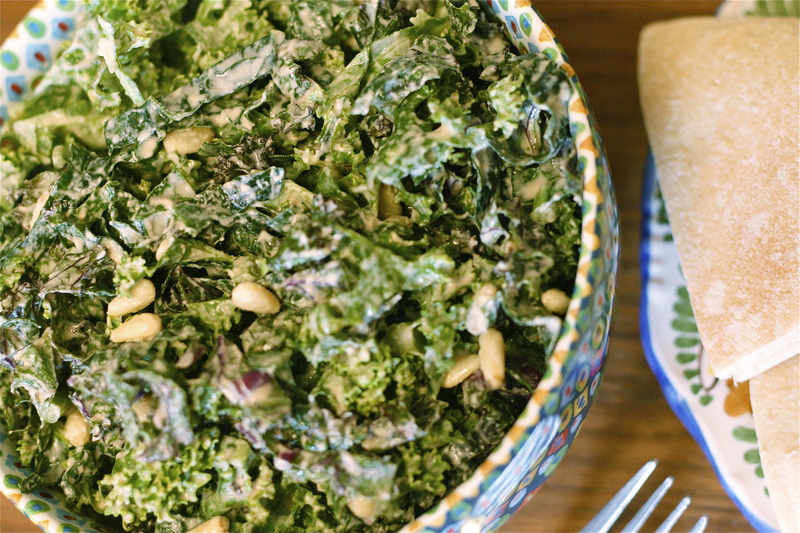 Love this recipe…always looking to add more variety to my kale collection. So simple yet it looks so delicious and I know it’s nutritious. I’ve been trying to eat more kale because of its benefits. Now I have one more recipe!